Implants are a key business of the company, which has continued a high rate of growth since it began its implant business. The OSSTEM IMPLANT R&D Center has started marketing various kinds of new products including GS? implant and US Ultra Wide System, earning rave reviews among customers. The Center seeks to develop customer-oriented products on a continuous basis while improving product reliability. In addition, we have newly established OSSTEM Bone Science Institute as of January, 2008, promoted research of foundation technology for bone regeneration and dental implant. The company expanded its production lines on a large scale in 2007. Today, it boasts of the world’s best production capability in terms of both quantity and quality. For the sales sector, the company promptly and systematically supports customers’ medical activities through 13 directly managed sales networks worldwide while further expanding its global sales bases through the comprehensive expansion of dealer sales networks. In particular, the company strives to offer full customer satisfaction by diversifying and revitalising the AIC education programs and improving the competency of salespeople. 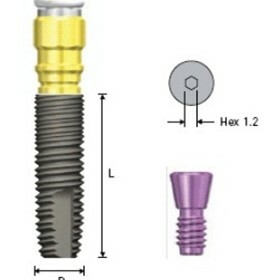 The company intends to improve the quality of implants continuously, activate the global AIC operation, and expand its global production and sales system; thus solidifying its status as a world-class implant maker by pursuing various differentiated marketing strategies.